The Smelly Shirts Air Fresheners come in a 72 piece pack. Having a car air freshener hanging in your customers car is a constant visual and fragrant reminder of your branding and business. 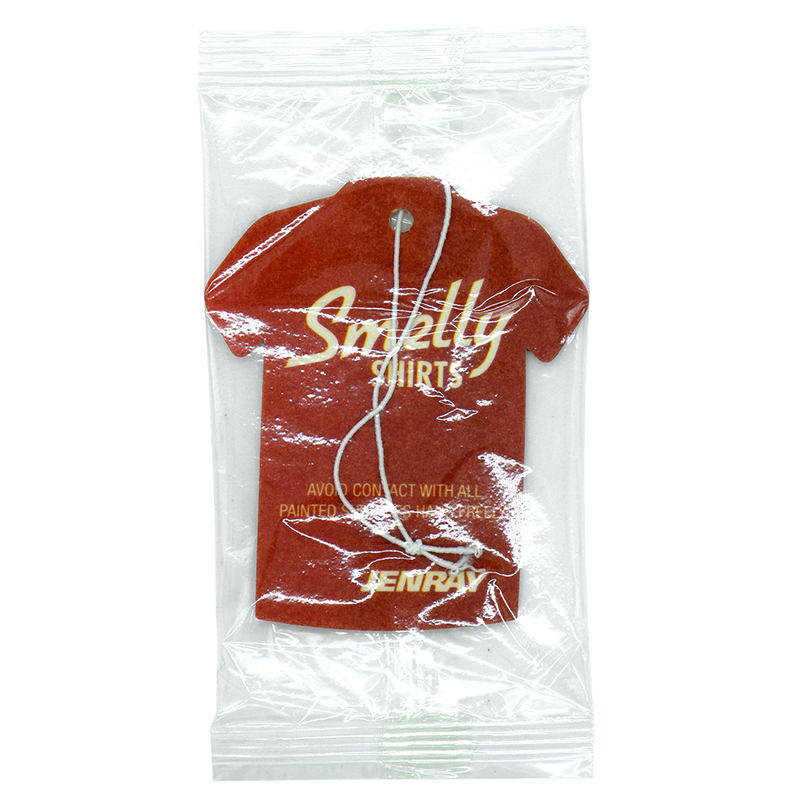 You will see a huge spike in repeat customers when you give away custom auto air fresheners. This is a must have for any owner of a car wash, auto parts store/distributor, car dealership or repair shop. The cherry scent will have you daydreaming about the cherry on a milkshake. ~ Mfr Catalog No. STS-2"